Treasury Corporation of Victoria is the central financing authority for the State of Victoria, established by an Act of the Victorian Parliament. ​LiveTiles software empowers staff with the ability to surface and integrate scattered business apps, resources, files and more on a single pane of glass over Office 365, SharePoint and Azure. The Center for Universal Education is one of the leading policy centers focused on universal quality education particularly in the developing world. ​As a registered NFP, Her Heart is raising awareness and educating women around women and heart disease, which is the biggest killer of women globally. MS Research Australia's mission is to accelerate MS research towards the prevention, better treatments and a cure for MS. 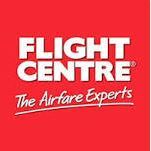 Flight Centre Travel Group is one of the world's largest travel agency businesses. The University of New South Wales is one of Australia's leading research and teaching universities. Women in Banking and Finance provides a leading voice for women seeking an influential career in banking and finance. The Starlight Foundation brightens the lives of seriously ill children and their families. The Children's Cancer Institute Australia conducts research with the goal of ending childhood cancer.